The Florida State Park system is an excellent steward of the state’s natural resources, and houses some of its most beautiful sites. Whether you are looking for excellent beaches where you can swim, sunbathe, or snorkel, to see wildlife and spot birds, or camp, there is a state park for you. 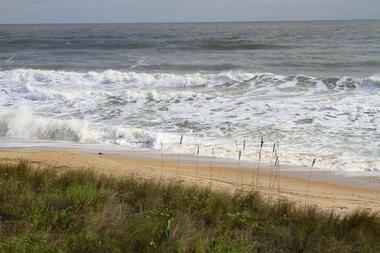 Here are the best Florida state parks. Only five miles from the community of St. Augustine, Anastasia State Park is across Matanzas Bay on a peninsula of Anastasia Island. Teeming with wildlife and opportunities for family activities, Anastasia State Park’s 1600 acres, including four miles of pristine beaches await visitors. Overnight guests may bring their tents or campers to the 139-site campground with electrical and water hookup; each campsite has a grill and a fire ring. The park offers bicycles to explore its trails, and rents paddleboards, kayaks, sailboats, and canoes for visitors wishing to journey into its tidal marsh. Off shore keen-eyed visitors can spot dolphins, manatees, and sea turtles, and bird watchers come to see the island’s population of laughing gulls, least terns, black skimmers, bald eagles, and several different types of heron. The park has a small grill serving fresh food, and a gift shop with souvenirs of the park. Big Talbot Island State Park is located on a sea island in northeastern Florida, and is a natural preserve much loved by bird watchers, nature lovers, and photographers. Off shore, visitors can see bottlenose dolphins and Right Whales, and on land there are white tailed deer, bobcats, opossums, and raccoons. Collier-Seminole State Park contains one of the largest mangrove swamps in the world. With the swamps and the closed-canopy forests there is an abundance of rare wildlife, including Florida panthers, bobcats, and gopher tortoises. 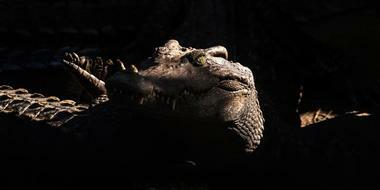 Alligators may be seen throughout the park. Stunning Royal Palm trees and hardwood forests are home to over 150 species of birds, which can be seen along the park’s many hiking trails. John Pennekamp Coral Reef State Park is the first undersea park in the United States, and spans seventy nautical miles, over coral reefs and protected marine life. The park is a favorite among snorkelers and scuba divers, who come to Cannon Beach to explore the early Spanish shipwreck only 100 feet from shore. Snorkel boat tours go out four times daily, enabling snorkelers to submerse themselves at different points of the coral reef; for those not wishing to snorkel there are three glass-bottomed boat tours every day, weather permitting. The Visitor Center has an impressive aquarium and nature videos pertaining to the park’s natural resources. The park has 47 campsites with sewer, water, and electrical hookups, and the two man-made beaches have picnic tables and restrooms. Myakka State Park is 58 square miles of wetlands, closed canopy forests, and rare Florida prairie lands. It has the first public canopy walkway in the United States, which rises 25 feet above the ground, and stretches for 100 feet. From it there are superb views of the forest and wetlands. There are also boardwalks over Upper Myakka Lake, from which visitors can view the indigenous alligators, sandhill cranes, and other wetland species. Lake tours are offered daily on the world’s largest airboats, and tram rides around the park are also available. The park has 90 campsites, cabins built in the 1930s and 1940s, a café serving lunch, dessert, and craft beer, and a small gift shop with park souvenirs for sale. Falling Waters State Park in northern Florida is home to the state’s highest waterfall. Hikers along the boardwalk trails can see both the lovely falls and the giant sinkhole in the park that are one hundred feet deep and twenty feet wide. A lovely attraction in this park is the butterfly garden that hosts thousands of native and migrating butterflies; the park also has deer, foxes, and fox squirrels living in its pine and dogwood forests. History buffs can have a look at the remains of Florida’s first oil well, or at the ruins of a grist mill dating back to the 1860s. For relief from the Florida heat, there is a freshwater lake with a white sand beach, perfect for swimming; the park also offers fishing and a children’s playground. There are 24 shaded campsites in the forest, each with electrical and water hookup and fire rings. Big Shoals State Park is the perfect place for a whitewater adventure, on the largest whitewater rapids in Florida. 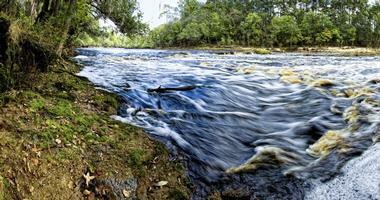 With Class III Whitewater rapids, thrill-seekers in kayaks and canoes can fly down the Suwannee River at top speed. For those who wish to remain on land, Big Shoals State Park has thirty-three miles of wooded trails over various terrain, perfect for hiking, biking, and horseback riding. The park is alive with birds, including herons, egrets, wood ducks, hawks, wild turkeys, hummingbirds, and shore birds; tortoises live on the riverbanks and white-tailed deer inhabit the forests. The park has plenty of picnic areas outfitted with grills. 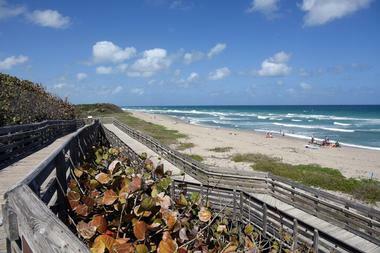 John D. MacArthur Beach State Park is on a barrier island near Palm Beach, Florida. Its two miles of beach are adjacent to coastal and mangrove forests containing many rare and endangered plant species. 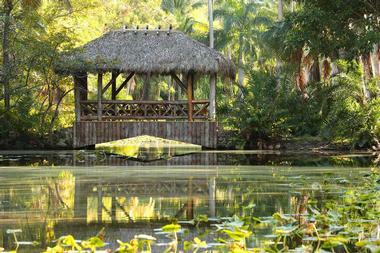 Visitors to the park may swim, snorkel, scuba dive, and fish, and there are tables throughout the park for picnickers. The park rents single and double ocean canoes, perfect for sighting the manatees that inhabit the local waters, or for sighting great blue herons in the swamplands. The main attraction of the island is the presence of critically endangered turtles: the loggerhead, the green, and the leatherback all lay their eggs here and can be seen seasonally. The William T. Kirby Nature Center has displays and live animals to help visitors understand the importance of the natural resources of the park. 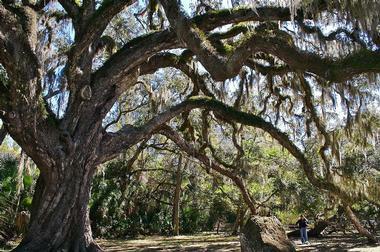 Hillsborough River State Park is one of Florida’s oldest, dating back to 1938. The swift-flowing Hillsborough River is a terrific place for fishing, canoeing, and kayaking; kayak and canoe rentals are available. Fishermen will catch mainly bass, bream, and catfish. Seven miles of nature trails are open to hikers and cyclists only. On hot summer days, the park’s swimming pool is a big draw, and the 112 site campground with full hookups is a popular overnight destination. Hillsborough River State Park is home to Fort Foster State Historic Site, a reconstructed fort from the Second Seminole War, which can be viewed only on ranger-led tours. The park has a store and a café serving breakfast and lunch; several picnic areas and two children’s playgrounds can be found on the grounds. The park’s interpretative center has more information about Fort Foster and the Second Seminole War. 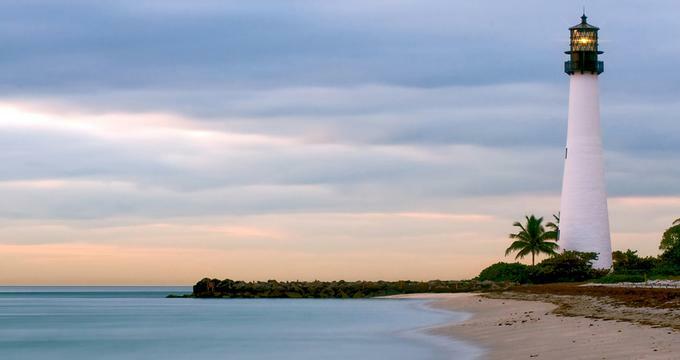 Bill Baggs Cape Florida State Park has a 1.25 mile white sand beach consistently rated as one of the top ten beaches in the United States. Visitors flock here to enjoy swimming, sunbathing, and picnicking on the lovely shoreline. Beach chairs and umbrellas can be rented. 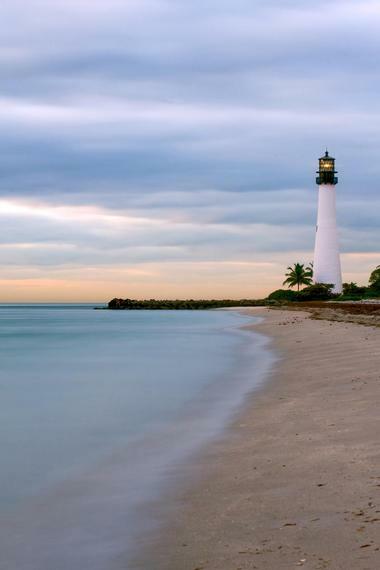 Another important attraction at the park is the historic lighthouse, which was built in 1825, and is the oldest standing structure in Miami-Dade County. 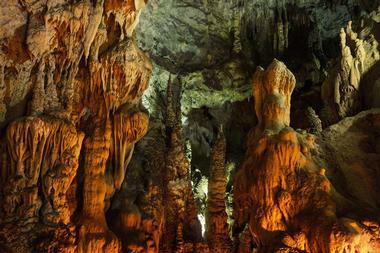 Florida Caverns State Park is the only state park to offer guided tours of dry caverns. The tours last 45 minutes, and allow visitors to see limestone stalactites, stalagmites, and other geological features. The tours are considered to be moderately strenuous. Six miles of trails welcome cyclists, hikers, and visitors on horseback; from the trails can be seen floodplains, sinkholes, and rivers, and wildlife such as herons, egrets, beaver, and alligators. The boat ramp is a great place for fishing, and catch is usually bass, catfish, and sunfish. There are 35 campsites with electrical and water hookup, many picnic areas throughout the park, and a children’s playground. 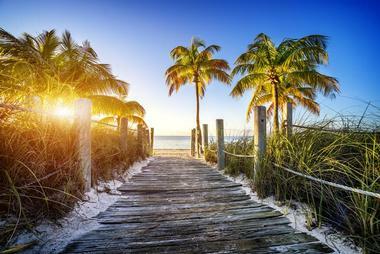 Lovers Key State Park is made up of four barrier islands on the Gulf of Mexico. A haven for wildlife, visitors can spot ospreys, bald eagles, marsh rabbits, roseate spoonbills, and the alligators who live in the freshwater ponds. The 2.5 mile long beach is perfect for collecting seashells, sunbathing, and swimming; there are picnic pavilions throughout the park, as well as grills and children’s playgrounds. Black Island has five miles of trails for hikers and cyclists. Visitors can bring their own non-motorized watercraft or rent kayaks or canoes from the concession near the boat ramp; anglers generally catch trout, tarpon, and redfish. The islands have a restaurant that serves casual fare like hot dogs and burgers; the concession at the boat ramp has cold drinks, snacks, and ice cream. Kayak tours of the mangrove-protected swamp may be arranged at the boat ramp concession. Bulow Creek State Park covers 5,600 acres, and contains the largest stand of southern live oak on the east coast of Florida, including the Fairchild Oak, which is 400 years old. Hikers often come to the park to walk the tree-lined 6.8 mile trail to the Historic Bulow Plantation Ruins, and interpretative signs along the route tell of the plantation’s history and its role in the Second Seminole War. Canoeing and kayaking in the Bulow Creek is permitted, and there are several ideal places for picnicking around the park. Visitors may spot white-tailed deer, tortoises, bobcats, and barred owls, and should be very careful of their footing if straying off trails, as there are often well-camouflaged pygmy rattlesnakes in the bush. The famous mermaid show at Weeki Wachee Springs State Park has been delighting audiences since 1947. Today visitors may sit in the 400-seat amphitheater to enjoy both the mermaid show and the animal encounter show, which familiarizes its audience with Florida’s native wildlife, including alligators and snakes. Visitors may kayak or canoe on the Weeki Wachee River, or take guided riverboat tours. Buccaneer Bay has a flume ride for all ages, as well as a lovely white sand beach with crystal clear water, perfect for swimming and snorkeling. 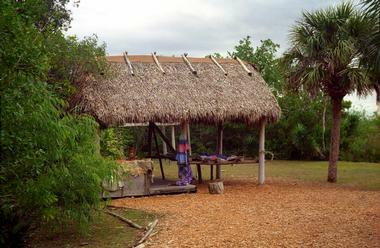 There are covered picnic pavilions throughout the park, and several concessions where food, drinks, and souvenirs may be purchased. 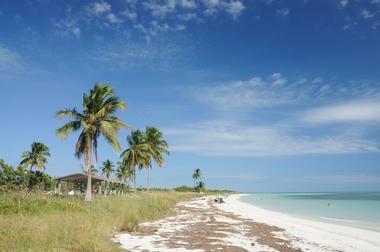 Cayo Costa State Park is accessible only by private boat and by ferry. Its 2,400 acres contain nine miles of pristine beaches, acres of closed canopy forests, and many mangrove swamps. Off-shore there are pods of dolphins and porpoises, and manatees are sighted regularly. 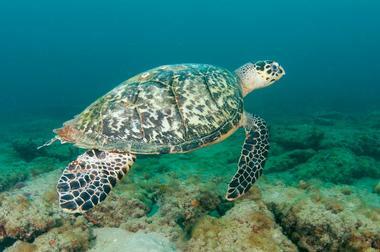 Shorebirds and sea turtles lay their nests on the beaches; the nests are protected by law. There are excellent trails for hiking and off-road cycling; an amphitheater with educational programs about the island’s ecology and history; and a gift shop that sells souvenirs and rents out kayaks. The beaches are white sand and covered with interesting shells to collect; swimmers and snorkelers love the clear water of the Gulf of Mexico. The park has primitive cabins and tenting sites without water or electrical hookups. 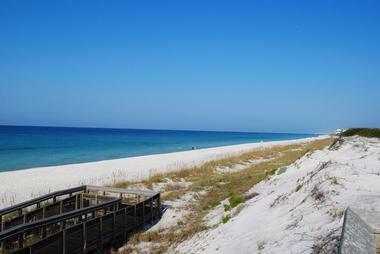 Grayton Beach State Park has one of the most beautiful and pristine beaches in the United States. It is a joy to visit for swimmers, sunbathers, snorkelers, and surf fishers, with its mild currents and sugar-white sand. Canoeing and kayaking is permitted on Western Lake, and boat rentals are available. A mile-long nature trail with interpretative signs winds through the coastal forest of scrub oaks and magnolias, and a four-mile hiking and cycling trail allows visitors to explore even more of the parkland. Thirty modern cabins and 59 full-facility campsites exist, as well as picnic pavilions for use by day trippers and overnight guests. There is plenty of bird life: ospreys, bald eagles, and shore birds live here, as do deer, grey foxes, and the elusive and rare Florida black bear. Bahia Honda State Park is located on a remote island in the Florida Keys, and offers beautiful beaches, magnificent sunsets, and excellent swimming and snorkeling. Beginning snorkelers are at an advantage here due to the shallow water, mild currents, and the clarity of the water; it is also a great site for beginning scuba divers. The beaches on the island have restrooms and outdoor showers, and give visitors the opportunity to see shore birds, bottle-nosed dolphins, and several types of herons, ibis, and egrets. Boaters may use the island’s two boat ramps or pull into one of the park’s nineteen boat slips; the park offers ocean kayaks for rent. There are three campsites on the island with full hookups, and six cabins for rent. Cyclists may explore the park on its 3.5 miles of paved road. There is terrific fishing for grouper, snapper, and barracuda. 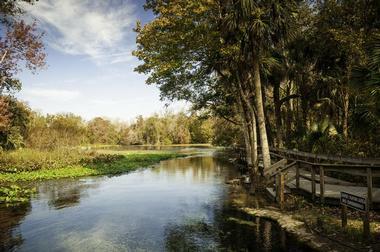 Wekiwa Springs is a popular state park in central Florida, a short drive away from world-famous attractions. 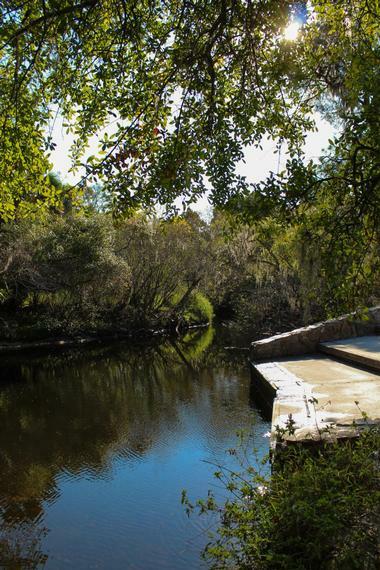 Here at the springs there is peace and quiet, the pleasure of canoeing and kayaking on the Wekiva River, swimming and snorkeling in the Wekiwa Spring, and hiking one of many trails that range from 0.8 miles long to 13.5 miles in length, and which accommodate hikers, cyclists, and horseback riders. Despite the proximity to an urban setting, there is excellent fishing here, and much wildlife, including wild turkeys, bobcats, white-tailed deer, and the Florida black bear. A concession sells hot dogs, burgers, snacks, cold drinks, and souvenirs, and the interpretative center has interesting information about the park’s wildlife and eco-system. There are sixty campsites with full hookups, and a primitive equestrian campsite where visitors may rest overnight with their horses. 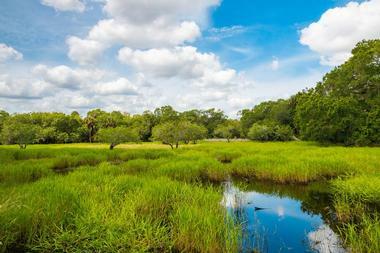 Crystal River Preserve State Park is beloved by naturalists and photographers, who come to view and record the park’s bird life, and its various ecosystems. A series of dioramas in the Visitor Center will help first-time visitors to identify the flatwood forests, the marshes, the swamps, and the closed-canopy forests. The park covers twenty miles of Gulf of Mexico coastline in northern Florida, and offers islands, inlets, backwaters, and forested acres. Canoeing and kayaking are permitted on Crystal River, and anglers will likely catch redfish, trout, and flounder. Boat tours of the coastal estuary instruct passengers about how the area supported the people who lived here in pre-Columbian times. Sunset cruises are available monthly, and venture out into the Gulf to admire the beautiful skies as the sun goes down. Seven miles of hiking and cycling trails are available. 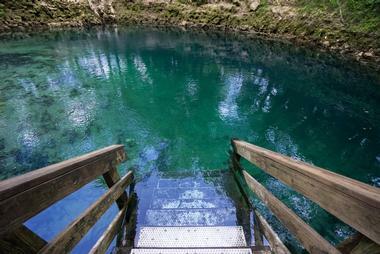 The 625-acre De Leon Springs State Park is famous for its historic spring, once thought to be the Fountain of Youth. Producing nineteen million gallons of water a day, it creates a superb swimming and snorkeling area which has lifeguards in the summer months. Canoes, paddleboats, and kayaks can be rented and taken downstream to the 22,000 acre Woodruff National Wildlife Preserve, where paddlers can see alligators, wading birds, and bald eagles, or enjoy the excellent fishing. On the hiking trails one can view the 600-year old cypress tree, and spot bobcats, Florida black bears, wild hogs and turkeys, and white-tailed deer. The Fountain of Youth boat tour lasts 50 minutes, and takes passengers on a narrated tour of the National Wildlife Preserve. Visitors may also view the sugar mill that dates back to the plantation era, and learn how African slaves were forced to work here. Fakahatchee Strand Preserve State Park is a nature-lover’s dream. Within it is a swamp running north to south, twenty miles long and five miles wide, shaded by bald cypress trees, with slow-moving water. Here, and amongst the abundant groves of royal palms, visitors can marvel at the park’s forty-four species of orchids, the teeming wildlife, and the excellent birding. Florida panthers, Florida black bears, deer, snakes, minks, and terrapins live here, and swallow-tailed kites, red-shouldered hawks, barred owls, and woodpeckers fly above. In the swamp itself there are shorebirds and wading birds. Canoers and kayakers may meander down the East River, and enjoy the excellent fishing. There is a 12-mile hard packed trail for cyclists, and picnic tables throughout the park. The forty-mile Little Manatee River courses through the state park for six miles, twisting, turning, and forming an oxbow, and traveling through the park’s rare ecosystems of sand pine, oak scrub, and oxbow wetlands. The river is ideal for kayaking and canoeing, and both may be rented at the park. Anglers on the river must have both a freshwater and saltwater fishing license as the river is an estuary; catch is usually blue gill, largemouth bass, and catfish. The park has one of the best hiking trails in southern Florida, a 6.5 mile stacked loop overflowing with birds and animals. There are fifteen miles of equestrian trails and an equestrian campground with full hookups. There is also a thirty-site campground with full hookups. There are picnic along the riverbank, with two children’s playgrounds. The park is the winter home of migrating manatees, which may be spotted from December until March. River tubers swarm to Ichetucknee Springs State Park to ride the rapids of the six mile Ichetucknee River, and the nine springs that feed it. Tubers, canoers, and kayakers may enjoy the surroundings as they pass beneath moss-draped cypress trees and travel through wetlands. 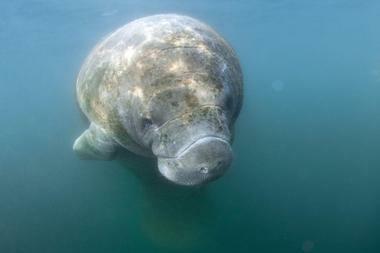 Lucky boaters may see manatees or river otters. Scuba diving is permitted in the Blue Hole between October and March, but divers must have cave certification. There are swimming areas, places to picnic, a playground, and a Visitor Center with exhibits explaining how urban growth and water usage have affected the river and its springs. Bird lovers come to view the wide variety of avian life here, which includes water birds, shorebirds, American kestrels, the Northern Bobwhite, Eastern Wild Turkeys, and Bachman’s Sparrow. Three hiking trails are open to people walking or cycling. There is a full-service concession seasonally that stocks snacks, refreshments, and outdoor products. 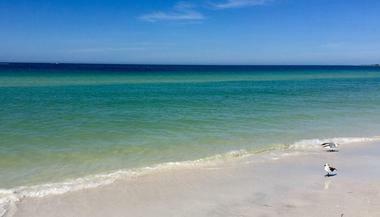 Caladesi Island State Park is a completely natural island off of Florida’s Gulf Coast. Consistently rated as one of the best beaches in America, Caladesi Park’s white sand beach is an excellent place for swimming, sunbathing, and beach-combing. 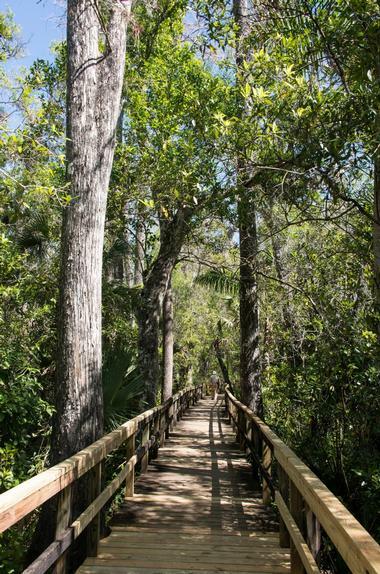 Explorers can hike the three-mile nature trail, or take a kayak on a three-mile pathway through the mangrove swamps. Near the beach there is a picnic area with tables, shelters, and a children’s playground; a snack bar and gift shop are also available there. The island is only accessible by ferry or by private boat; visitors arriving by boat may pull into the island’s 108-slip marina, which has water and electrical hookup. Surf fishing is permitted. Blue Spring State Park is dedicated to the preservation of the West Indian manatee, hundreds of which live in the park in the St. John River annually from November until the end of March. During that time, the river is closed to all activity, including swimming. During the rest of the year, swimmers, kayakers, canoers, and snorkelers may enjoy the crystal clear spring-fed waters, and scuba divers in pairs may explore the depths. No solo diving is permitted. Twice daily, two-hour narrated tours of the river are offered; visitors learn about the local wildlife and ecosystems. The park has several picnic areas and pavilions. Overnight guests may rent one of the six air-conditioned cabins, or stay in the full-facility campground, which has fifty-one sites. A concession near the public swimming area has a gift shop, food service, and a camp store.